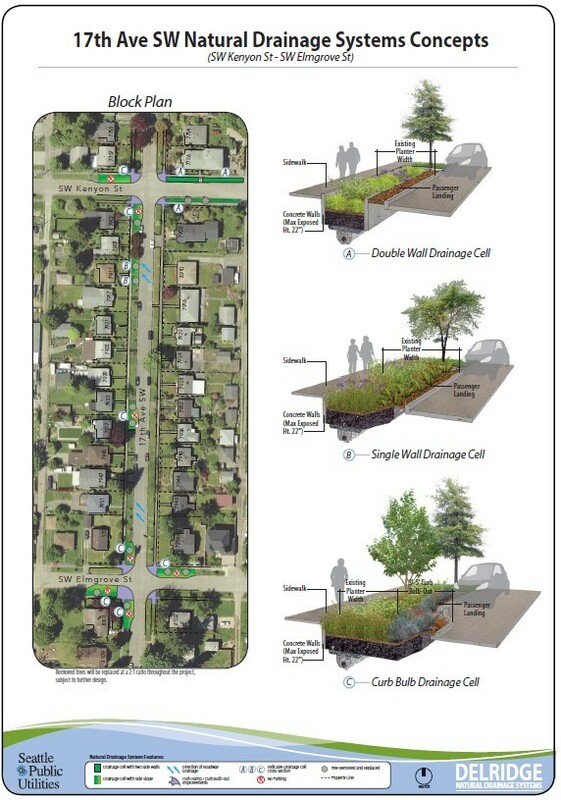 Herrera just wrapped up a 13 block green infrastructure (GSI) retrofit for the City of Seattle. 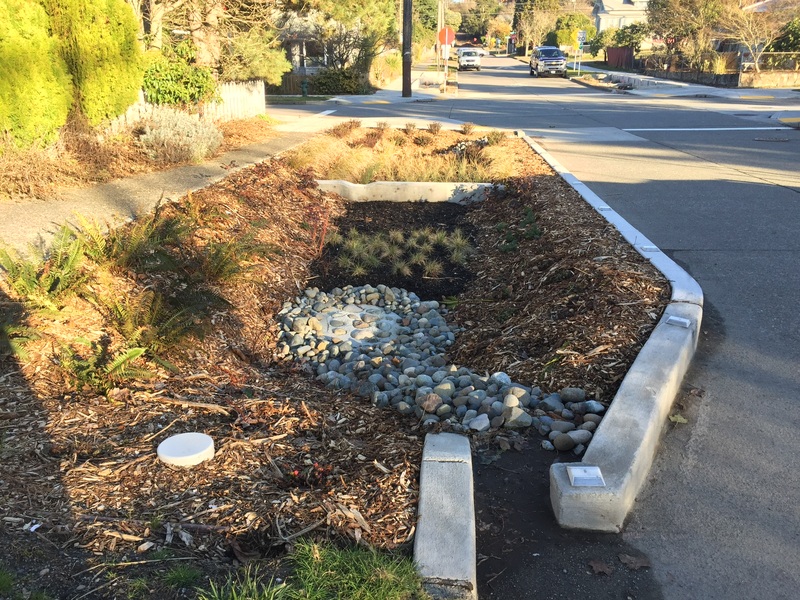 This GSI retrofit was built in the right-of-way to reduce combined sewer overflows to Longfellow Creek and was designed in partnership with a neighborhood greenway project in the Delridge neighborhood to enhance pedestrian mobility and increase traffic safety. A basin-wide retrofit planning process was conducted to select the project blocks that would offer the highest CSO control benefit and achieve informed consent from the public. Planning involved a desktop GIS analysis, windshield survey, and targeted field investigations. 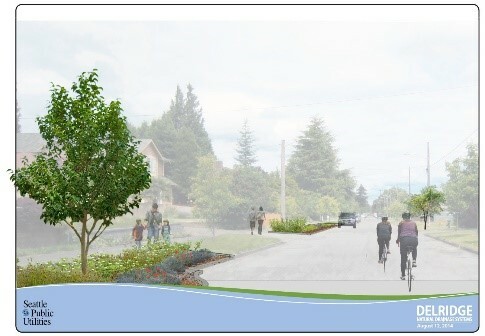 The project design includes bioretention facilities, intersection bioretention bulb-outs, permeable pavement sidewalks, and sidewalk and ramp reconfigurations for ADA compliance. 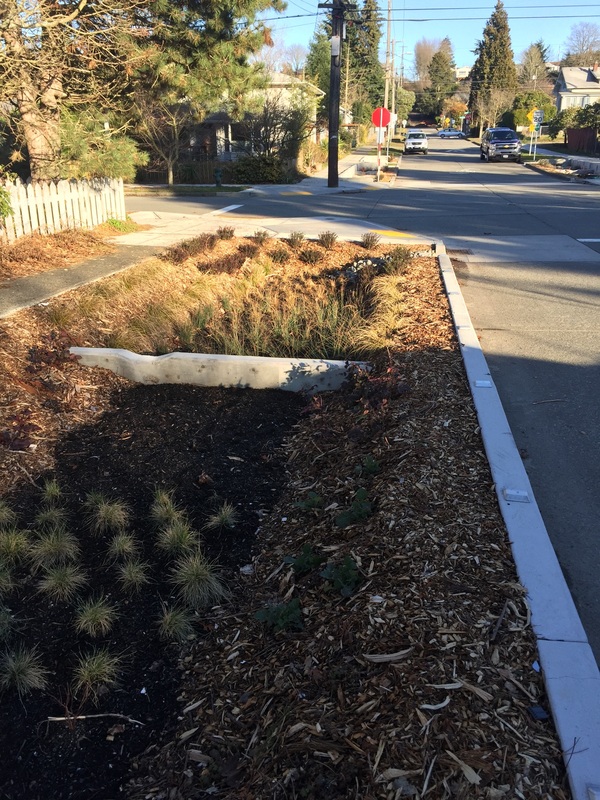 The bioretention planters design includes underdrains that collect and convey treated stormwater to a simplified UIC well (“drilled drain”) for deep infiltration. Construction was completed in late 2016. Herrera is currently working on a comprehensive operations and maintenance plan to ensure long-term performance of the GSI facilities. March for ScienceBike to Work / Bike Everywhere!